What Are the Most Expensive Cards in Magic? No, silly, we're not talking about costly in terms of real-world money; look to Black Lotus for that. Here, we're discussing the most mana-draining spells that demand severe amounts of resources but rewards your efforts with stupendous powers. Unless you use an infinite-mana combo, it's unlikely you'll ever attain the mana to afford these behemoths; fortunately, many bear convoke or affinity traits, letting your other cards potentially reduce their vast prices. But with dozens of high-cost spells, which are the most extravagant? 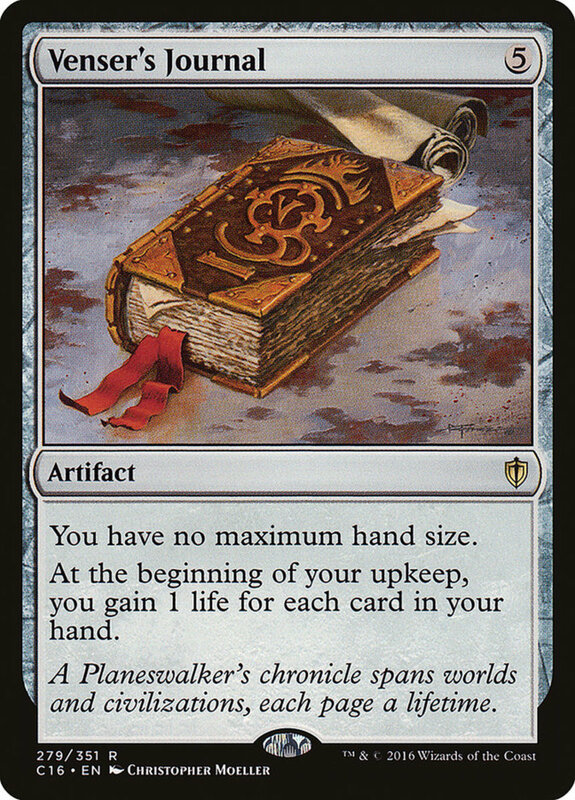 These are the ten most exorbitant cards in Magic: The Gathering! It That Betrays and our next entry tie with several other twelve-cost spells (listed below). 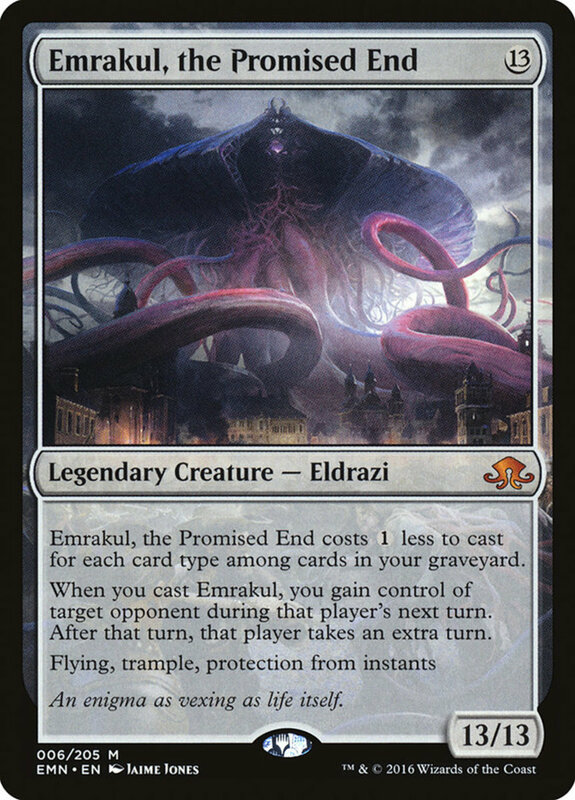 Betrays belongs to the infamous eldrazi creature type, generally colorless monsters with steep mana costs but incredible powers. 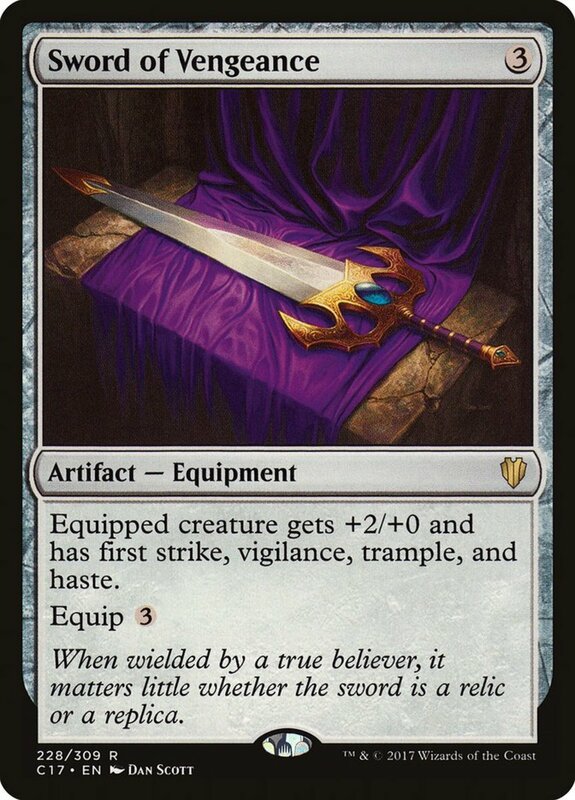 In this case, Betrays not only wields a fierce 11/11 (eleven power and eleven toughness), but also annihilator 2, forcing your opponent to sacrifice two permanents whenever Betrays attacks! As if that weren't bad enough, he places any opposing sacrificed units (including ones from other effects) onto the field under your control, shifting their allegiance to your favor. 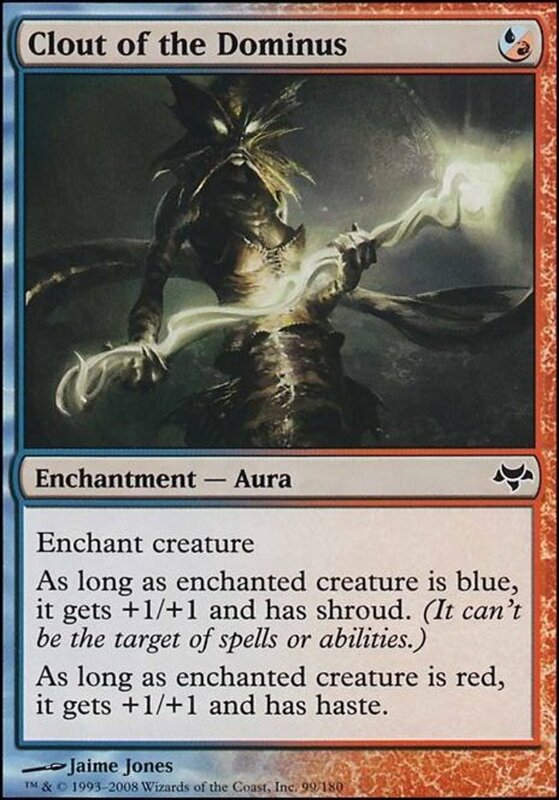 As of this writing, blue's Enter the Infinite is the most expensive sorcery in the game, but offers an absurdly powerful ability. You draw the rest of your deck, then place a single card back on top. You also have no maximum hand size until your next turn, letting you keep your immense hand even past the end phase. This gives you access to absolutely every card you need, but be careful, as that one card in your deck will only guard against a deck-out for one more turn's draw, so make sure you're close to victory. Infinite is particularly deadly in commander format, where your increased deck size of 100 cards grants even more options. As of this writing, the only 13 cost unit in the game, this legendary eldrazi arrives with a corresponding 13/13 power and toughness. 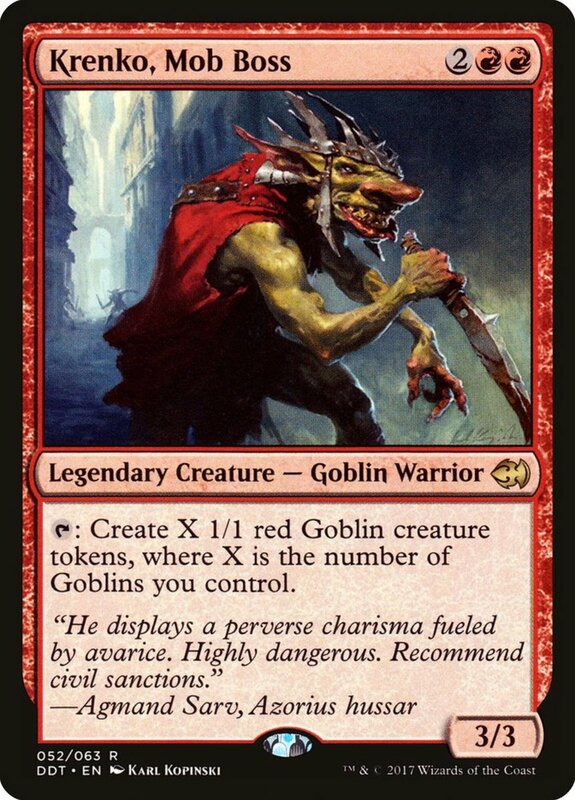 However, he's not quite as expensive as he looks because you get to reduce his fee by one for each different card type (creatures, planeswalker, etc.) 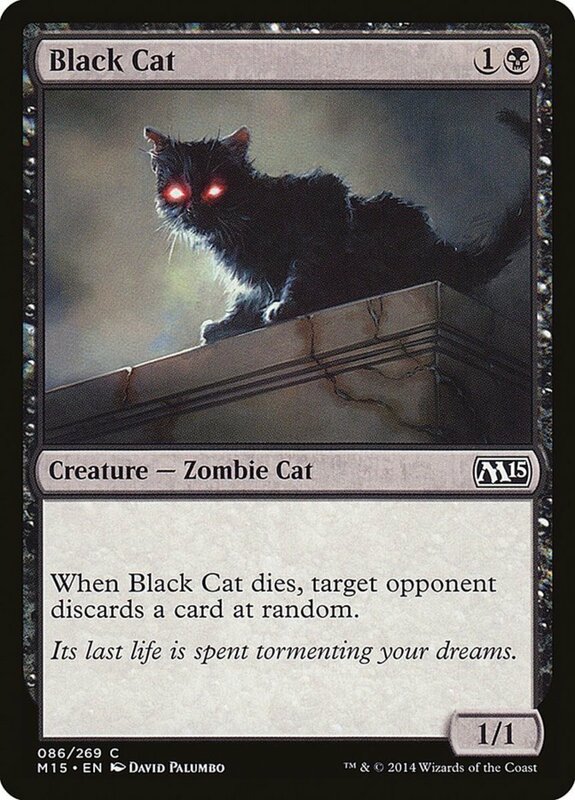 among cards in your graveyard, often lowering the charge to nine or so. Either way, when you cast Promised End, you gain control of a target opponent during their next turn, letting you make purposefully bad decisions and hopefully smack them with their own units! That said, they receive an additional regular turn afterwards, but it's still a fierce ability. Promised End also brandishes flying (letting him soar over ground blockers), trample (bleeding excess damage through blockers), and protection from being targeted or destroyed by instants, further increasing his lethal abilities. The islands of blue also contain the most expensive instant—sort of. Blinkmoth's affinity for artifacts reduces its cost by one for each artifact you control, potentially dampening its cost pf 14 to more-reasonable values. 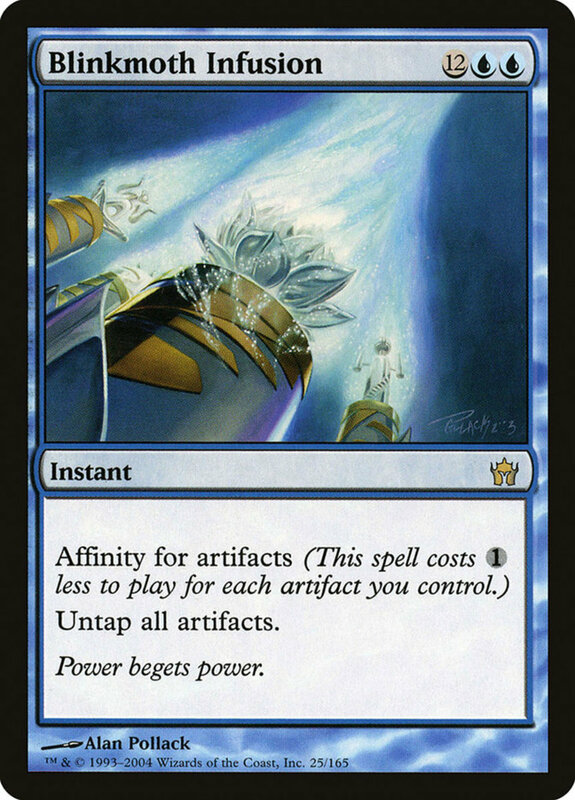 Thankfully, odds are already good you're emphasizing artifacts, as Infusion simply untaps all artifacts on the field. Many relics, like the Signet cards, tap for mana, letting you reprep them and hopefully gain more mana than you lost. It's definitely only a pick for artifact builds, but Infusion offers strong support to its element. Now in the 15-cost range, Autochthon Wurm demands a skyhigh price; however, its convoke ability lets you tap creatures to pay for one mana each, useful if you've swarmed several weak tokens you don't mind pivoting. Beyond that, Wurm wields a fierce 9/14 stat ratio as well as trample. An interesting card, but I'd recommend the dinosaur "Ghalta, Primal Hunger" for a superior green boss monster with a superior mana-reducing quality. 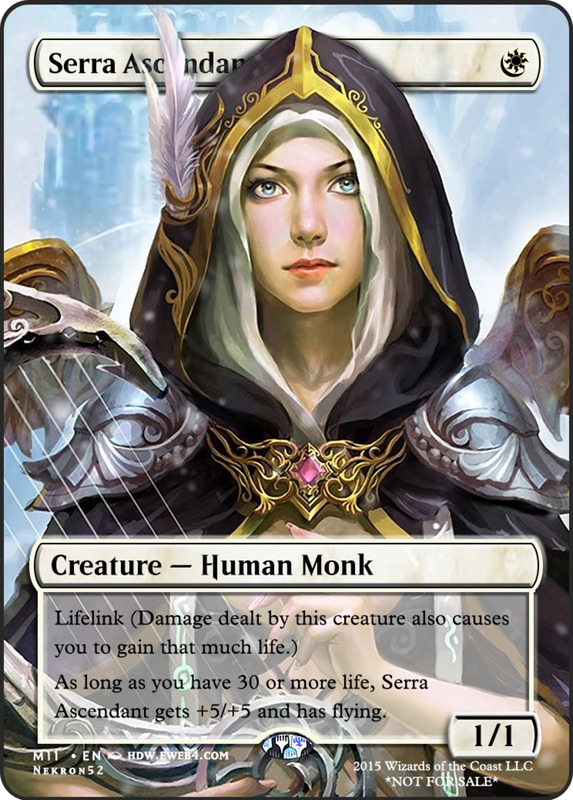 A member of the silly semi-official silly "Un" expansions (which can be distinguished by their gray borders), Mox Lotus combines the names of the renowned Mox and Black Lotus artifacts, so you know it's packing some power. Sure enough, by tapping Lotus, you attain ∞ mana! That's right, infinite mana with every tap, giving you a limitless pool to draw from. 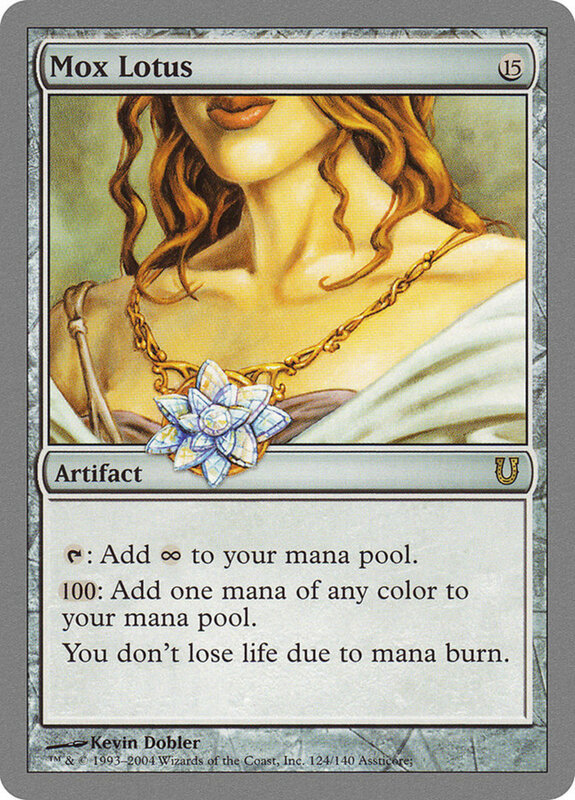 The mana is colorless, but since you can spend it with Lotus's second effect to add colored mana, you have everything you need. Infinite mana opens incredible new plays; use it to fuel the game-winning powers of cards like "Helix Pinnacle". Mox Lotus also prevents mana burn, but that mechanic was later removed, making its final ability irrelevant unless you're playing a classic match. 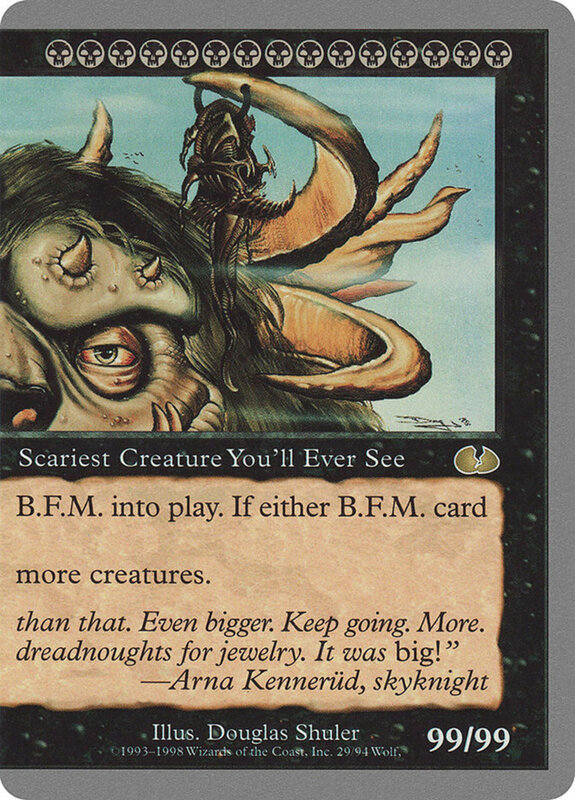 Another wacky Un shenanigan, B.F.M. 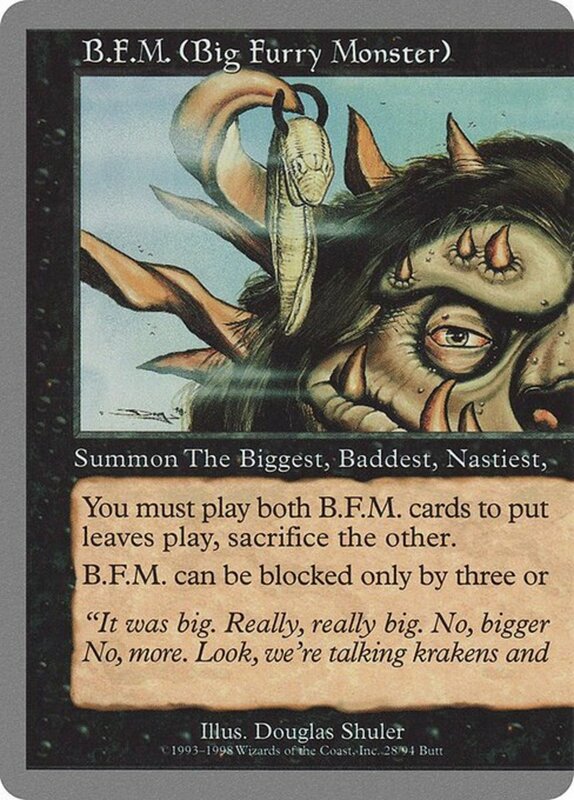 not only demands fifteen mana, it mandates each of them stem from black's swamps, making him tricky to fit into multicolor decks. Additionally, you have to amass both halves of B.F.M. before you can cast him as a singular unit. If either portion leaves the field, you'll have to sacrifice the other, but B.F.M. 's ability lets him only be blocked by three or more creatures, making it difficult to stop his rampages. Even better, he flourishes an unholy 99/99 battle stats! Land a hit with him, and (unless your opponent has performed some serious life ramping), you've won the match. 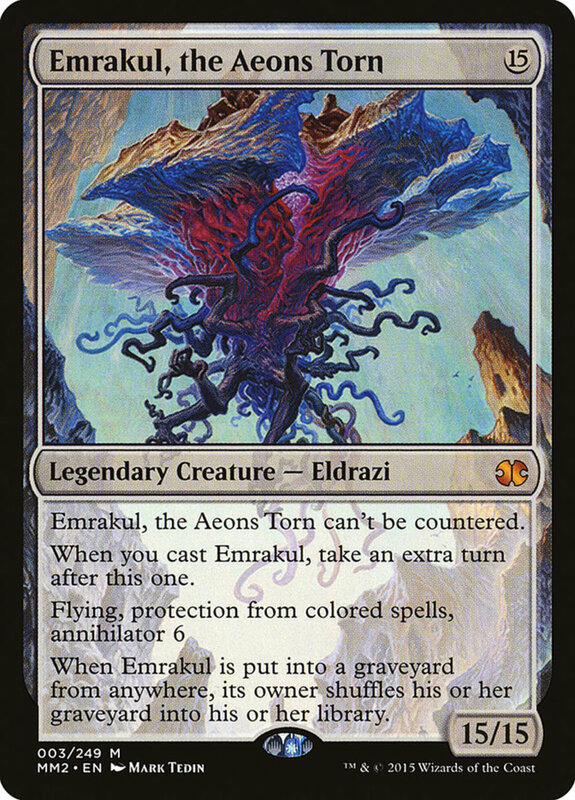 If you cast Emrakul, you take an entire extra turn, but even if you simply play him with effects (which doesn't trigger casting abilities), he's still absurdly powerful. 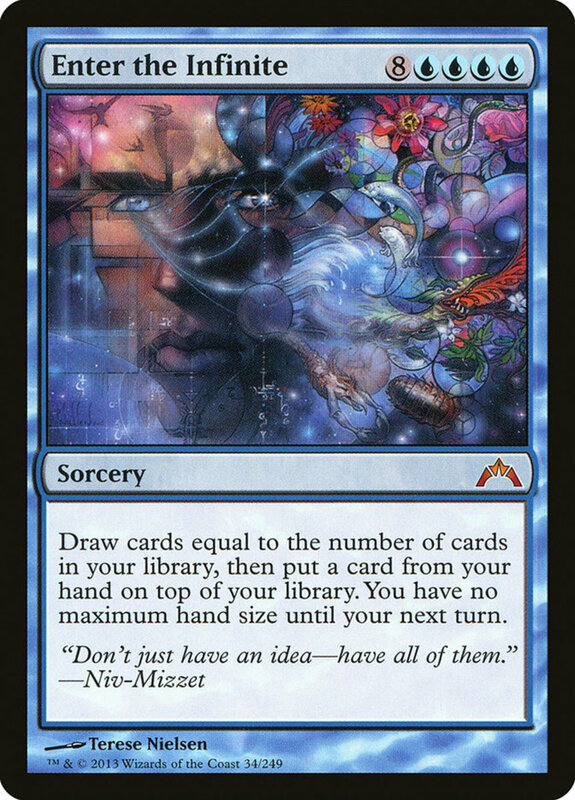 Protection from anything colored and countering immunity makes him challenging to remove, and annihilator 6 forces an opponent to forfeit six permanents with every swing! To make this lethal invader even stronger, use cards like "Lightning Greaves" to grant him haste and employ his annihilator the turn he arrives. Colorless dragon Draco not only requires 16 mana, but also dictates you pay 10 at the start of your upkeeps or sacrifice him. 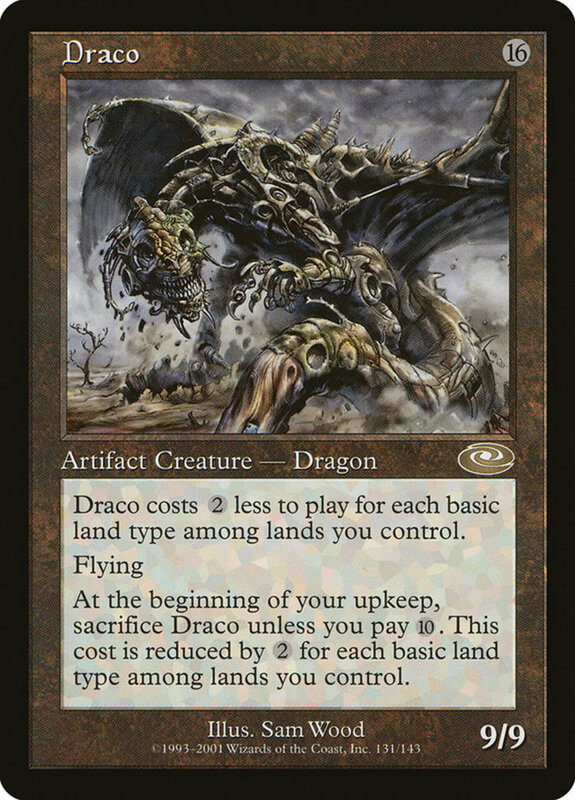 However, Draco reduces both these prices by two for each type of basic land you control. Between islands, mountains, forests, plains, swamps, and wastes, you can potentially reduce his cost by as much as twelve mana! Still, Draco's a bit weaker than you may expect, wielding 9/9 stats and flying. That's a bit lacking in extra abilities considering his continuous mana demands, but at least his artifact creature status qualifies for several different kinds of support. 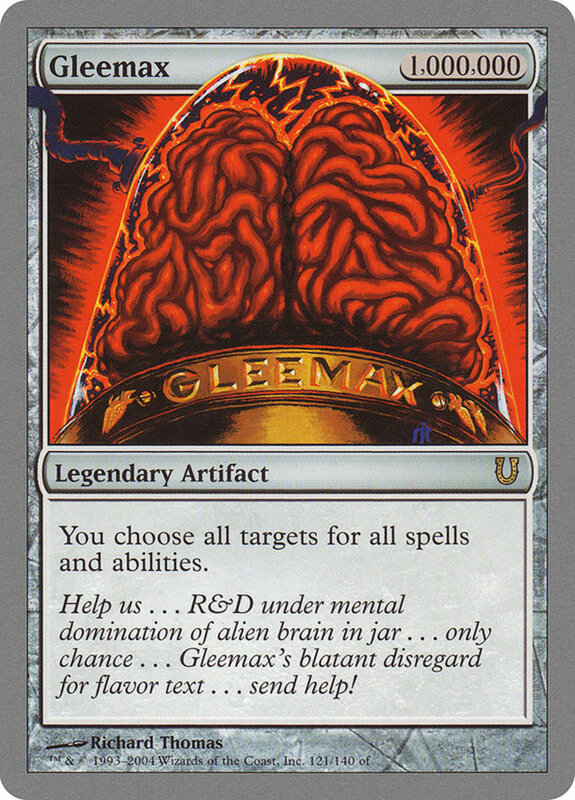 Gleemax is another "Un" unit, available only in certain formats, and it demands a ridiculous one million mana! 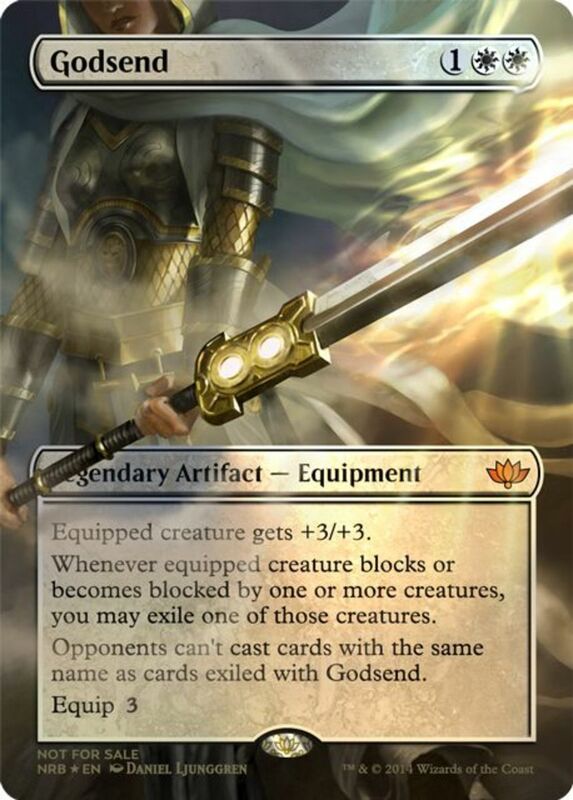 Yea, you're gonna want to use either infinites or free-artifact abilities like "Arcum Dagsson" or "Tinker" to field this legendary relic. However, Gleemax lets you choose the targets for all spells and abilities! This shuts down a heap of opposing plays since you'll be dictating each unit's victim. That said, remember that Gleemax can still be circumvented by field-wipes or by you controlling the only valid targets. It's not invincible, but it sure is handy, even if it's generally limited to unofficial play. Gleemax often spells game over when it arrives, and I've had heaps of fun with it in casual matches, especially since it's surprisingly affordable for a rare legendary, costing less than five dollars! With such expensive mana costs, how can anyone utilize these spells? Well, remember that several bear convoke or affinity traits to reduce prices. Even creatures that don't can be gimmicked to the field with free-plays like "Elvish Piper" or "Mosswort Bridge", and if nothing else, you can always mana ramp like crazy with the green faction and try to legitimately afford their charge. Be careful in official matches, as the "Un" cards are rarely allowed and Emrakul adorns several ban lists. But for now, as we eagerly await Wizards of the Coast's next expansion of high-cost behemoths, vote for your favorite titanic spell and I'll see you at our next MTG countdown!